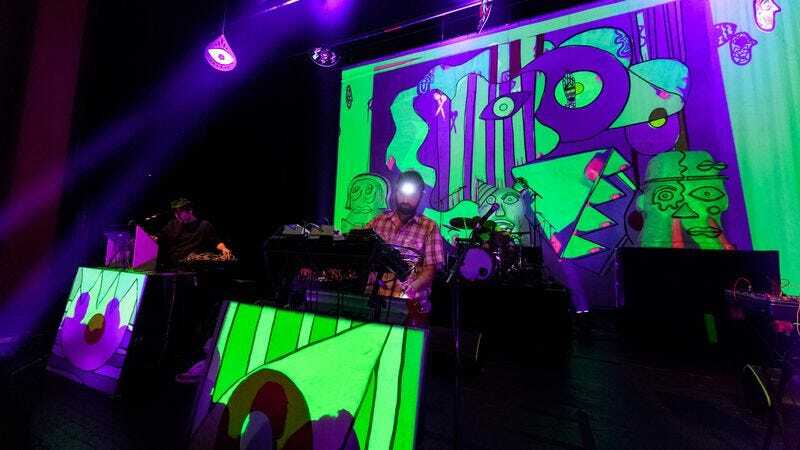 Animal Collective announced a series of tour dates for May of the coming year. The monthlong spree will take the band through a couple of locations in the South before heading east. It will finish up in Canada with shows in Montreal and Toronto. The band also announced that members Avey Tare and Deakin will do a DJ set on New Year’s Eve at Brooklyn Bowl. Animal Collective released Painting With back in February of 2016. In reviewing the record, The A.V. Club wrote that it’s “arranged in a way that’s much more inviting and playful” than its previous Centipede Hz.